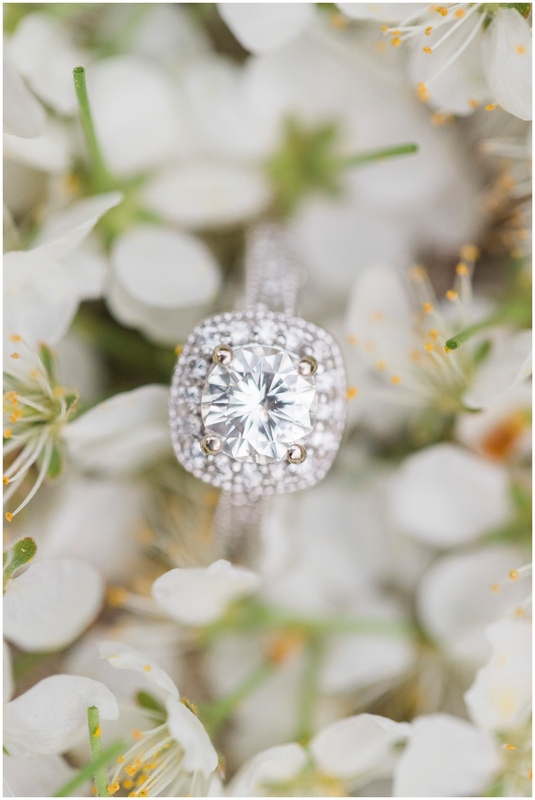 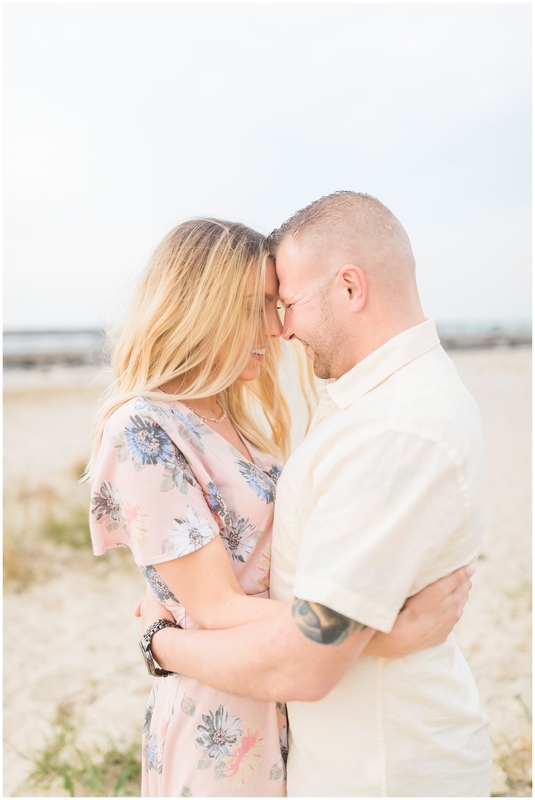 Long story short, I get to hang out with perfect couples and do engagement sessions on the beach! 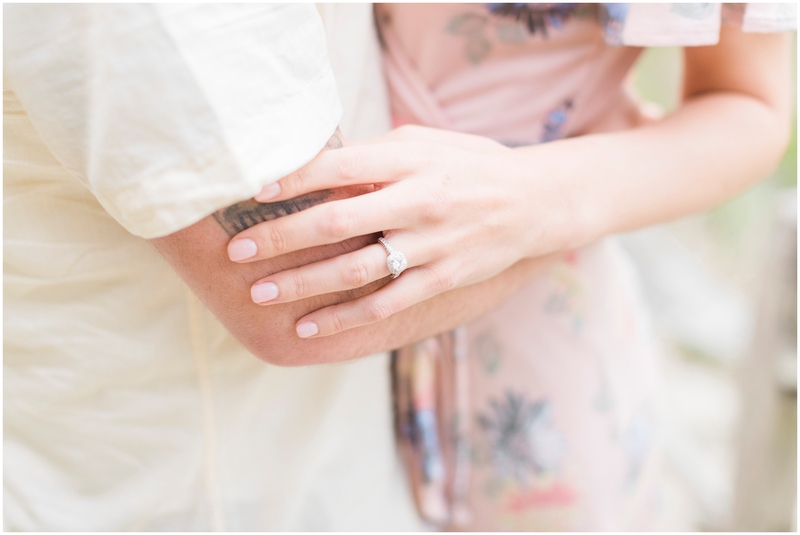 When I first met with Cait and Mark I seriously knew that I was meant to do their wedding. 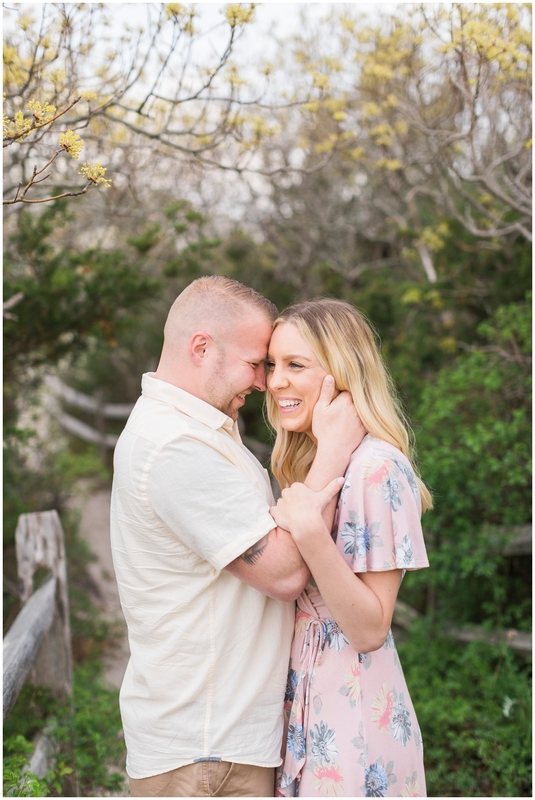 Cait is seriously the sweetest, and Mark is laid back and so chill. 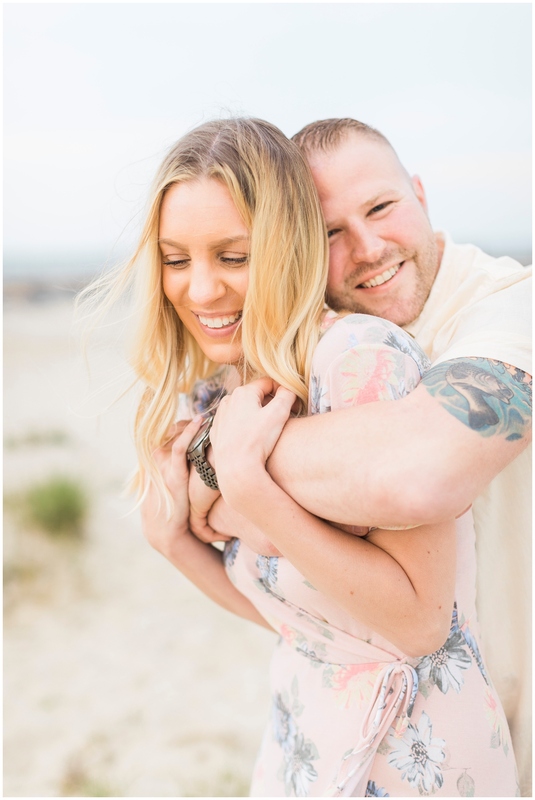 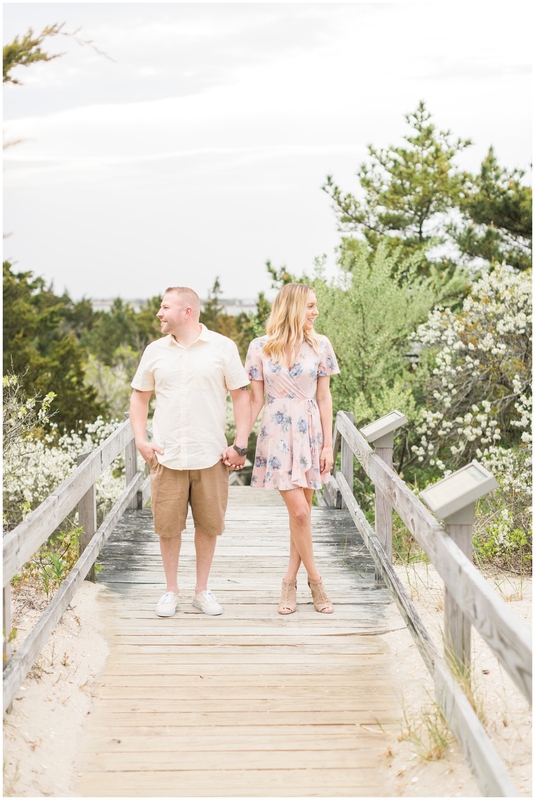 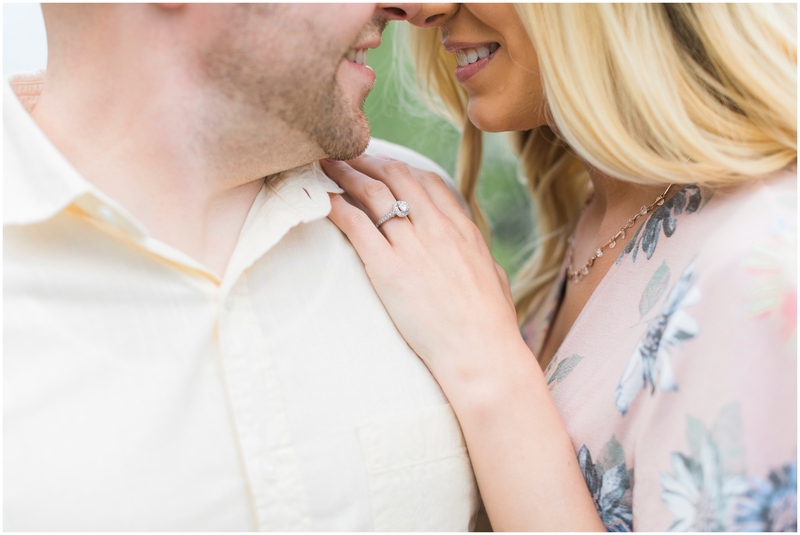 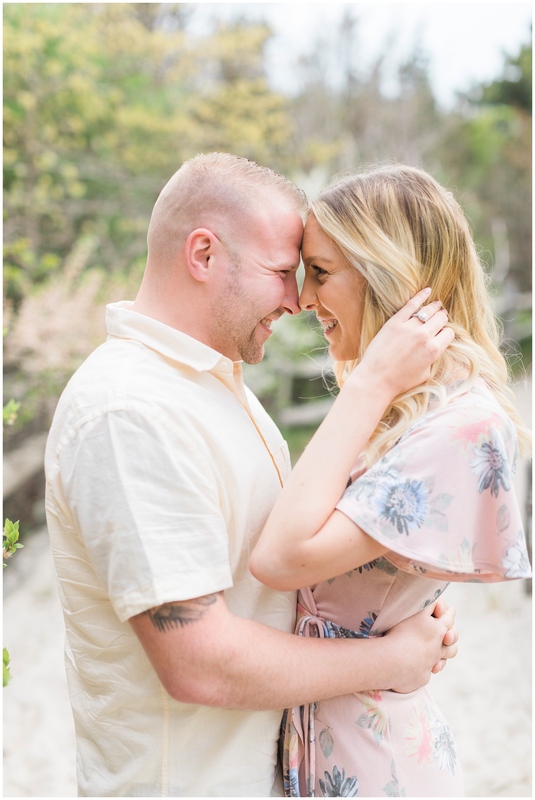 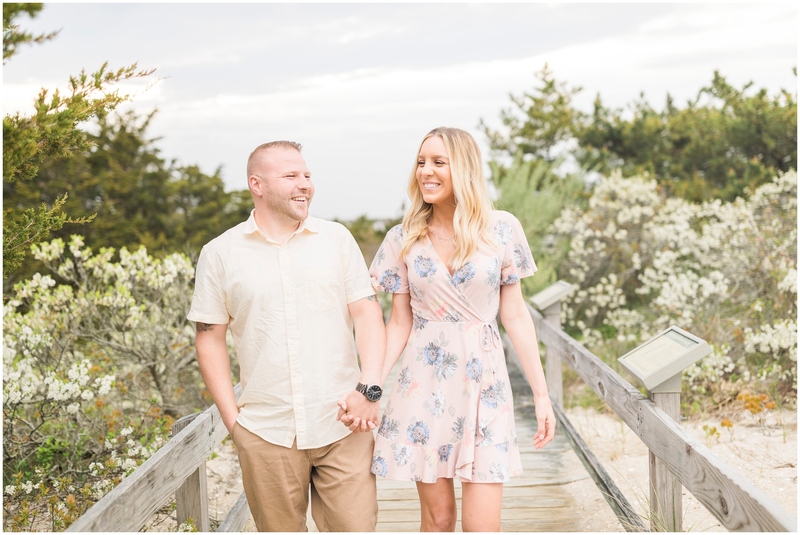 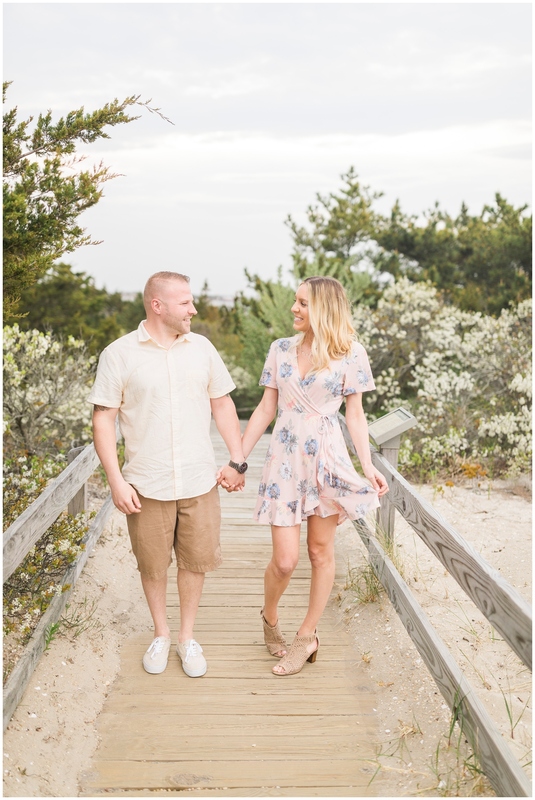 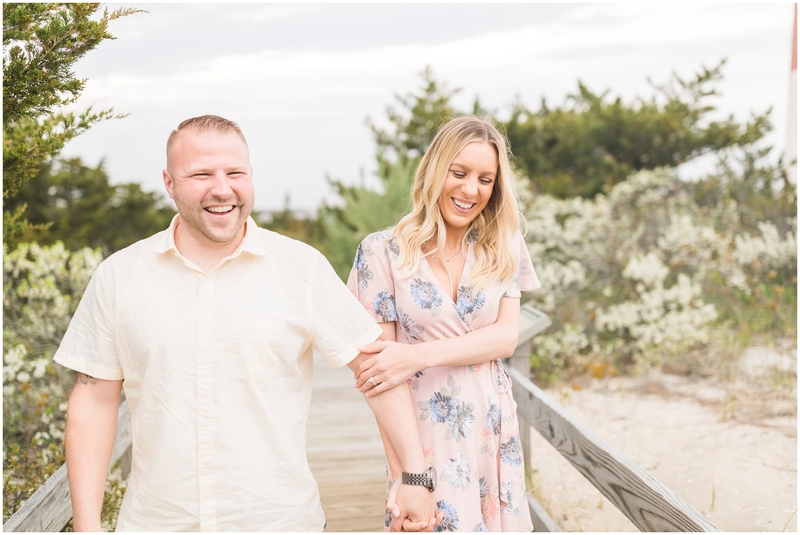 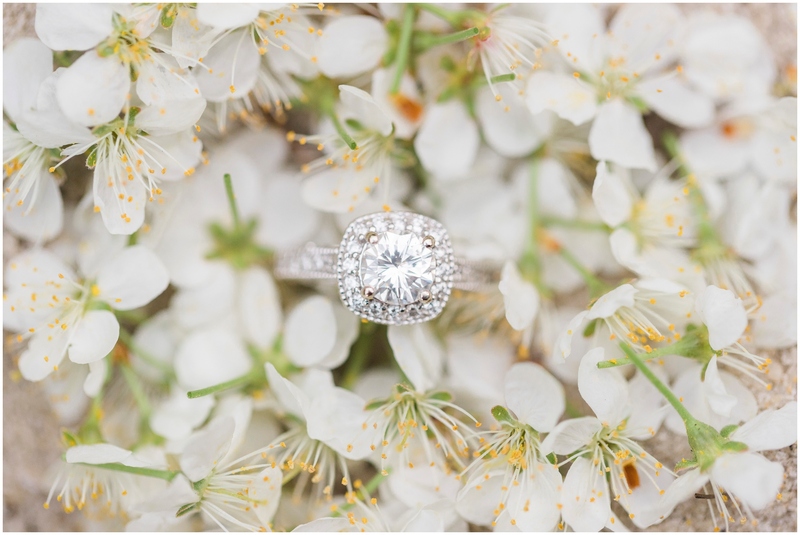 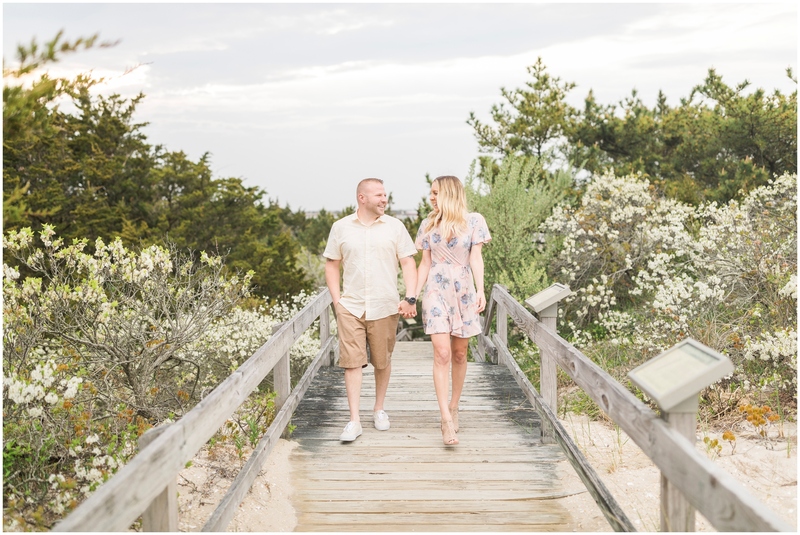 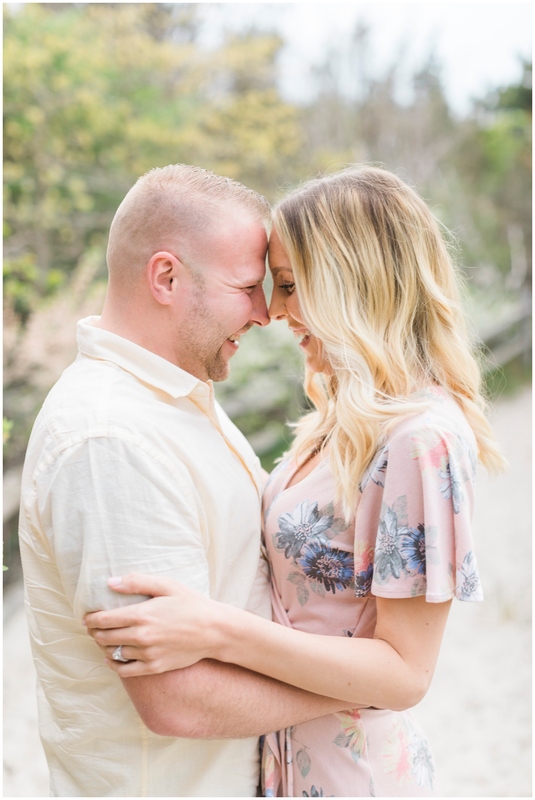 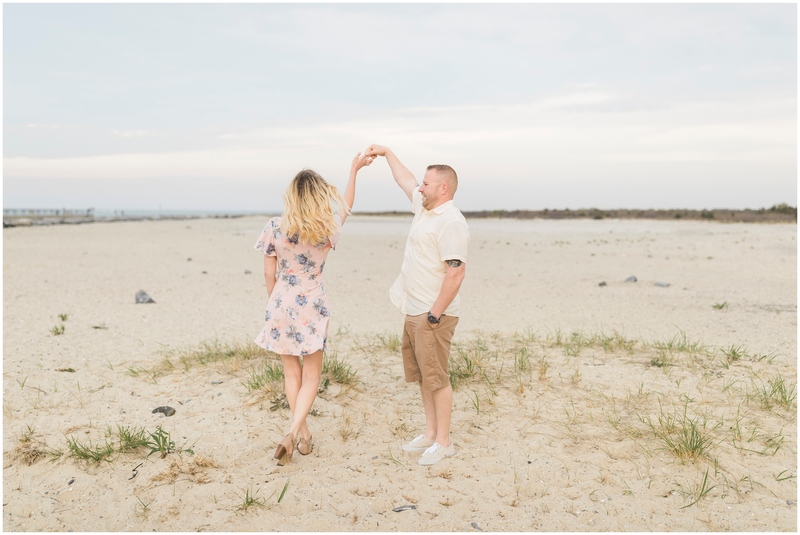 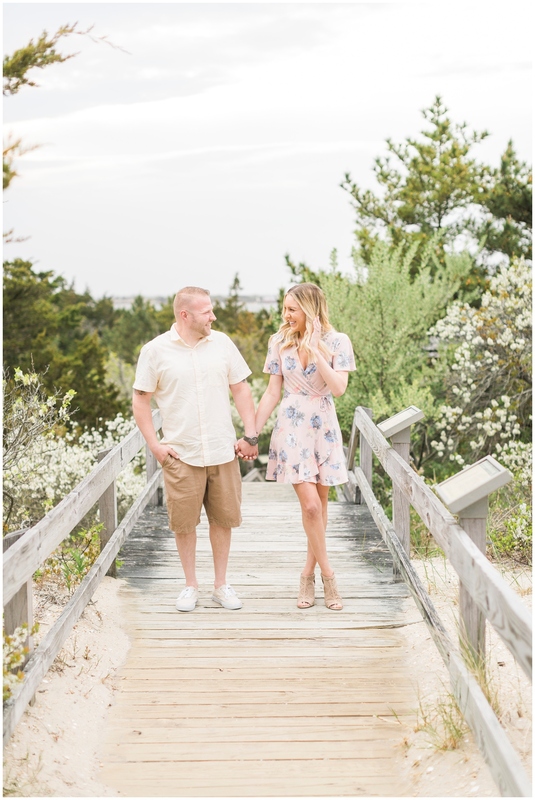 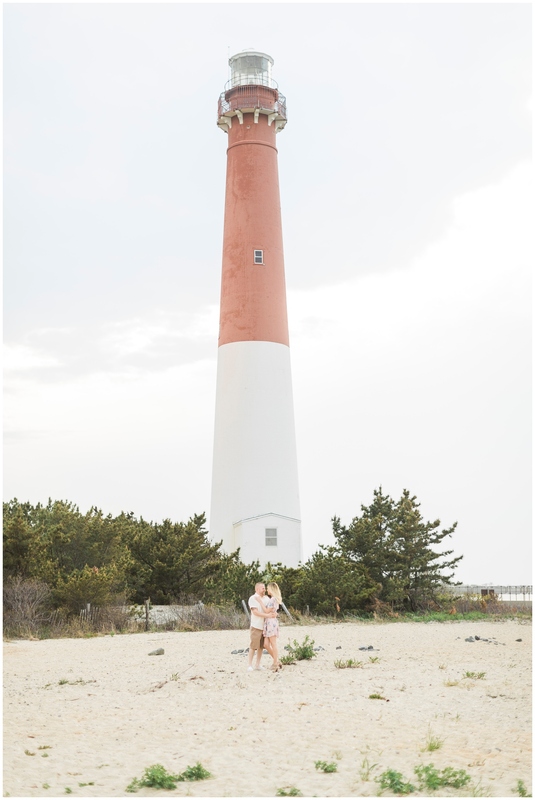 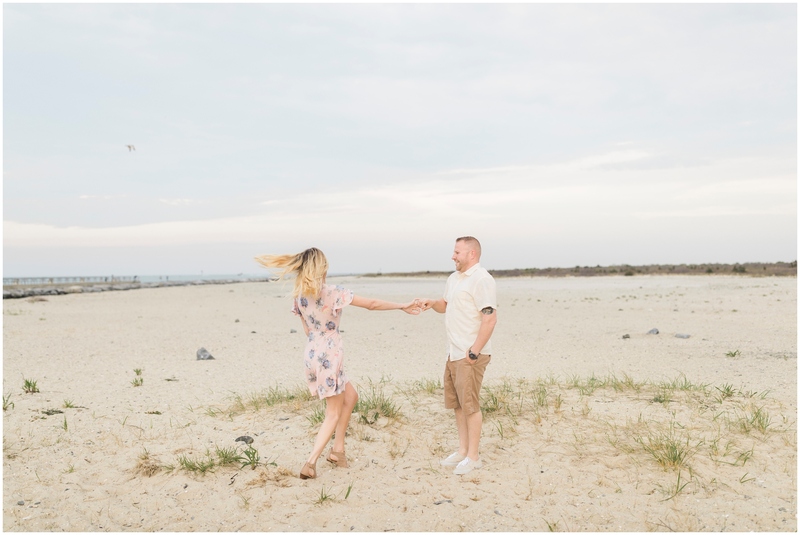 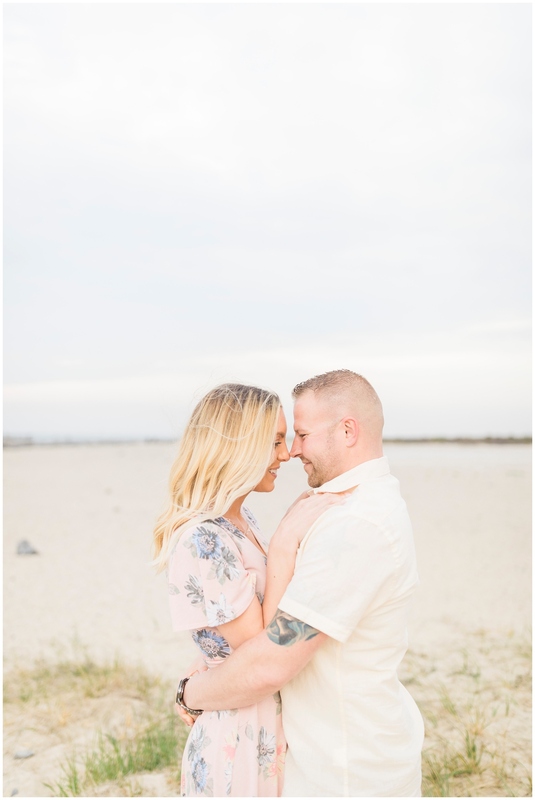 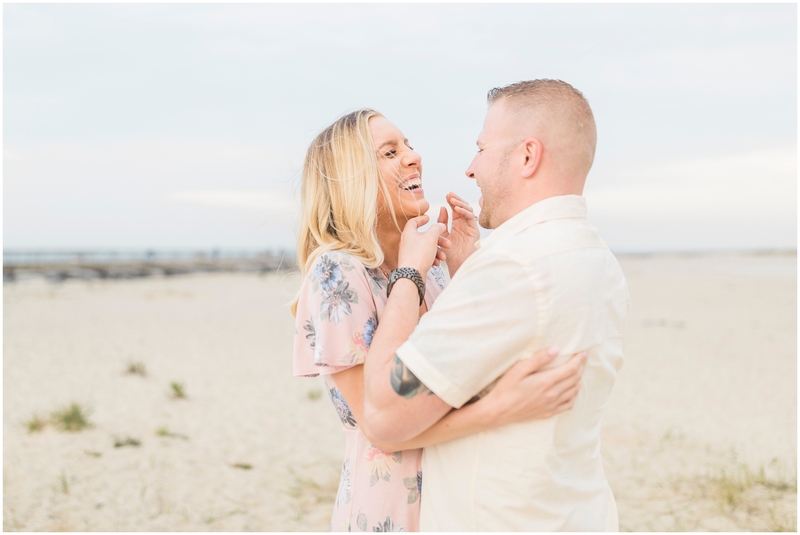 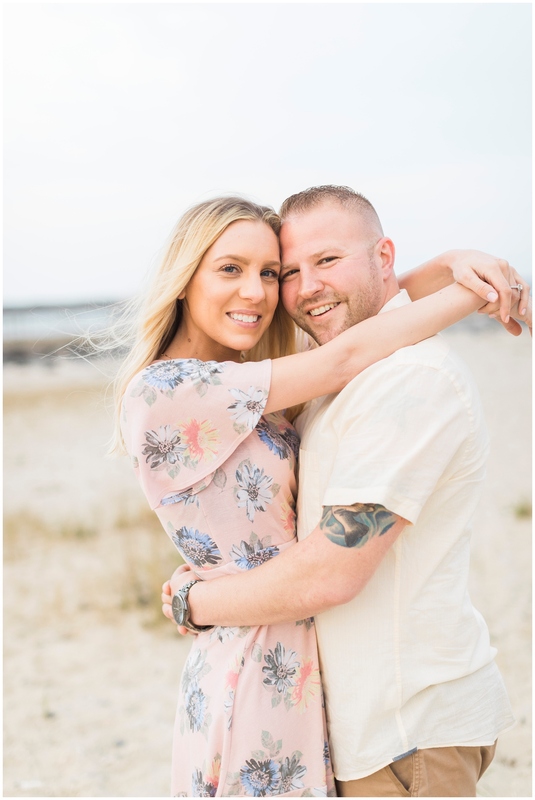 I felt like I had known them forever, and I was so stoked to be able to do their engagement session at Barnegat Light State Park! 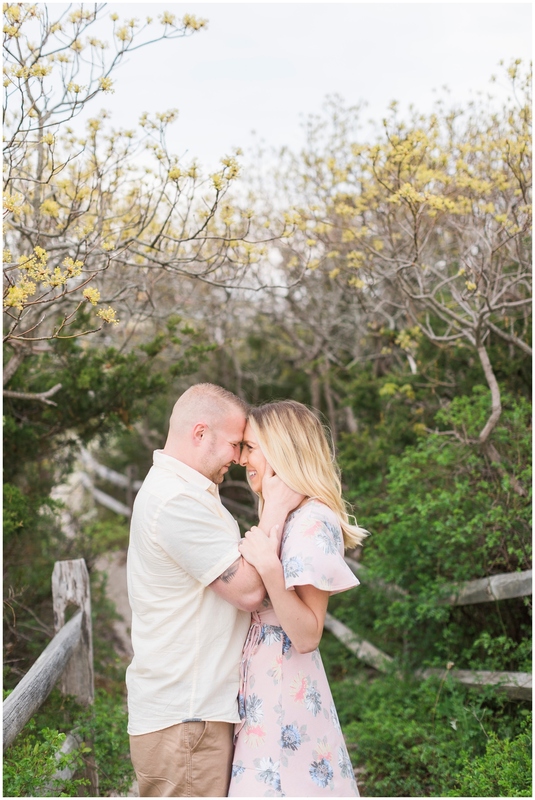 When they showed up, and Cait literally had on the perfect summer dress, I already knew I was going to be in love with their photos, and I was right! 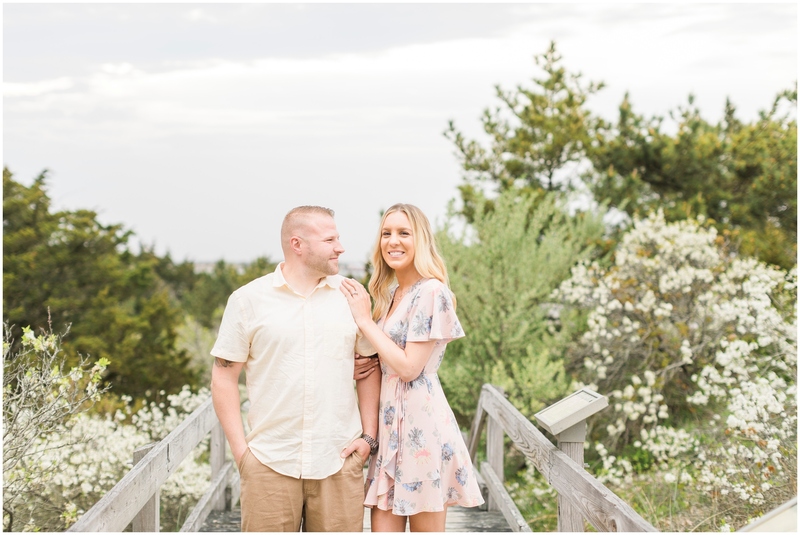 We had a threat of rain all day long, and I was a little concerned that we might get some in the evening, but everything went perfectly according to plan, and we got this gorgeous muted sky that had a color palette that seriously matched Cait’s dress. 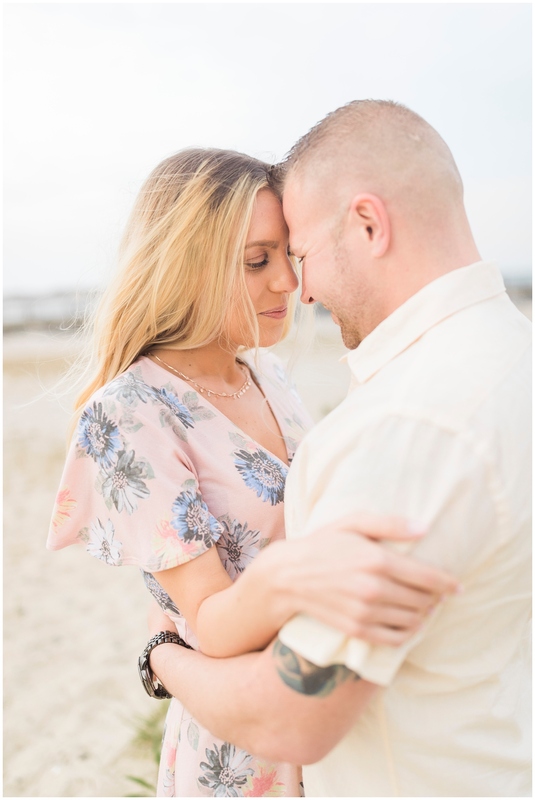 Could we have possibly planned better? 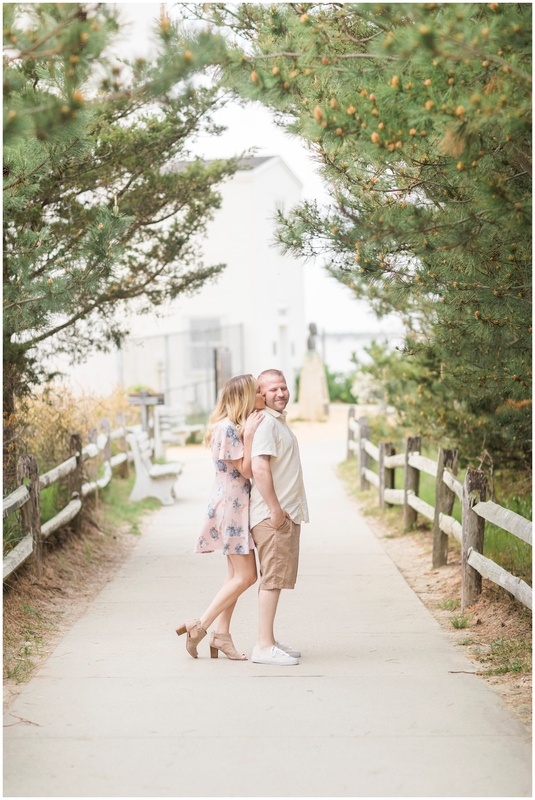 After our sessions, we each went out to dinner at different restaurants (Ray and I hit up The Old Causeway because we’ve been dying to go for around a year and it finally wasn’t crowded, and Cait and Mark had reservations at Daymark) and then literally texted each other about our meals. 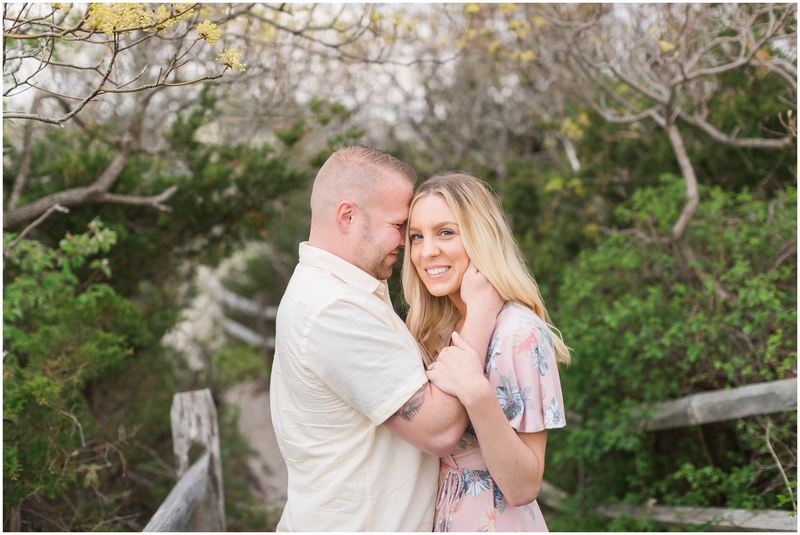 I knew at that point that Cait and I were photography soulmates and I am so glad that I met her! 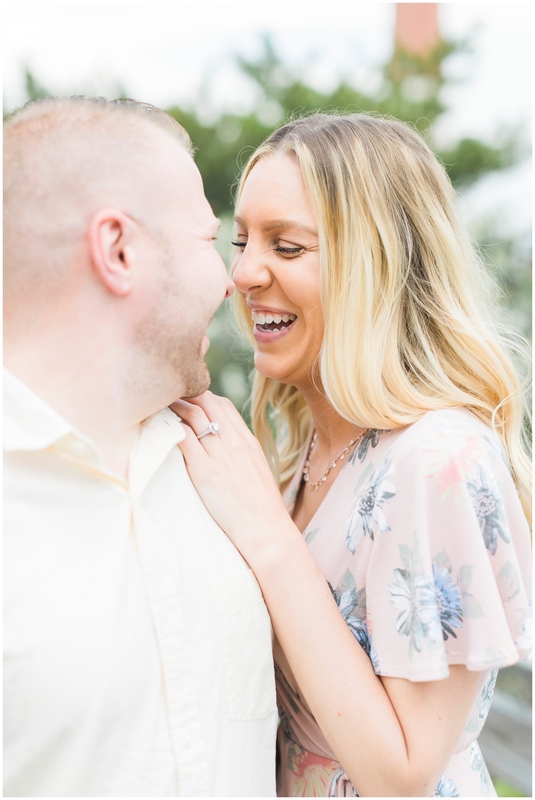 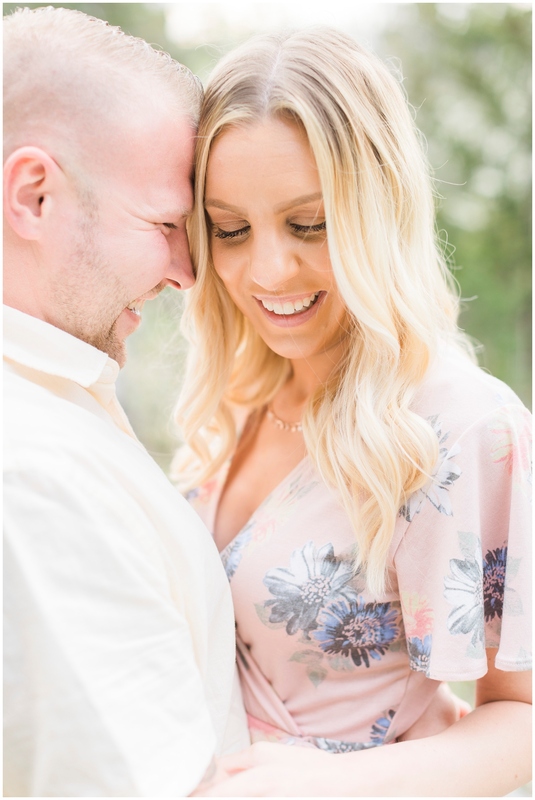 I seriously wish that these two were getting married tomorrow, and I realize that would be no fun because then it would already be over – but I literally walk away from every session already missing the people that I was just with. 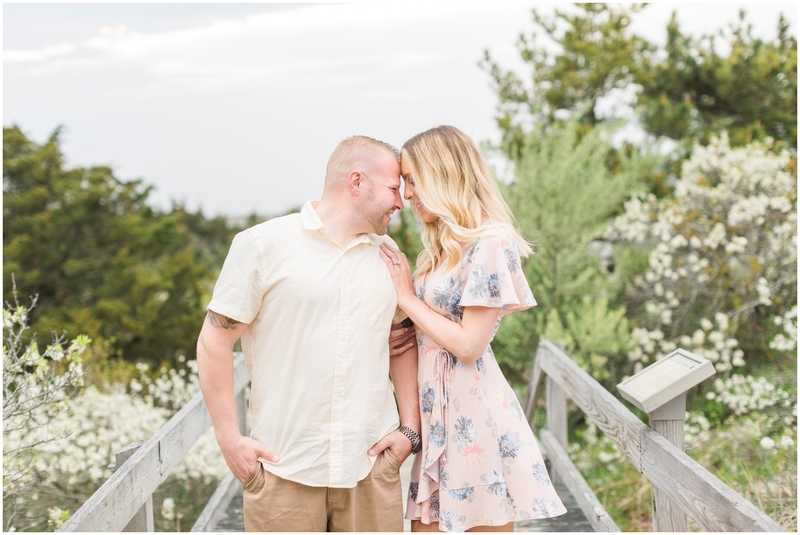 These two are tying the knot at The Mill Lakeside Manor next June and I can’t wait!